In a 7-2 decision, the Supreme Court ruled Wednesday in favor of a business owner who didn't file tax returns and destroyed some of his banking records, finding the omnibus obstruction clause in the Tax Code was overly broad. Supreme Court to decide if failure to file taxes is obstruction). Prosecutors convinced jurors that Marinello spent little time maintaining his business records, and he admitted that he was too busy trying to keep his business running to do the bookkeeping or file tax returns. He also admitted to destroying some of his old bank statements and mixing his business and personal income. But the Supreme Court found that the use of the obstruction clause was overly broad and there has to be a connection with a specific administrative proceeding at the IRS, such as a tax audit, for it to apply. "This is a tremendous victory, not only for Carlo Marinello, but for all taxpayers," said Joseph M. LaTona, Marinello's defense lawyer, according to the Buffalo News. The Supreme Court decided there needs to be a closer connection, a “nexus,” with a specific administrative proceeding at the IRS for the obstruction clause to apply. The high court gave three examples: an investigation, an audit, and a targeted administrative action. records, that nexus wasn’t there between the conduct and the knowledge of the investigation." The Supreme Court may well be acting as a check on the executive and legislative branches. 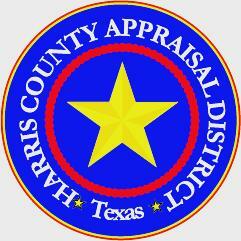 Houston — Harris County homeowners who have any type of property damage from Hurricane Harvey can now report that damage to the Harris County Appraisal District through the district’s upgraded app. The upgraded app allows residential property owners to report flood, tornado or roof damage electronically. neighborhoods and properties to help the homeowner next year when the property is reappraised January 1 by possibly reducing the value because of existing damage or ongoing repair work,” said Roland Altinger, chief appraiser. The upgraded app gives the homeowner options to quickly identify whether the damage was on the home or garage and provides an event damage report that lists options for the amount of water, an estimate of damage caused by a tornado or roof leaks and a section for fire damage. When the homeowner is ready to submit the report, they take a photo of the front and back of their driver’s license to verify the property owner’s identity. The app will prompt the user to allow access to the camera. applications and request their iFile number, which is needed to file a protest. Searching for the address or phone numbers automatically triggers elements on the phone, which would then load maps for directions or prompt the phone to dial a number. more convenient for property owners to work with the appraisal district.” Altinger said. have the app, you can update it to reveal the new damage report feature. if you have it, along with the number of inches or feet of water you received. In an Announcement and accompanying News Release, IRS has announced that employer-sponsored retirement plans can make loans and hardship distributions to victims of Hurricane Harvey and members of their families. And, while IRA participants are barred from taking out loans, they may be eligible to receive distributions under liberalized procedures. But, IRS is not waiving the 10% penalty that applies to early withdrawals. RIA observation: IRS has also provided victims of Hurricane Harvey with more time to make tax payments and file returns. See ¶ 60. Background. The laws relating to qualified employer plans impose various limitations on the permissibility of loans and distributions from those plans. For example, Code Sec. 401(k)(2)(B)(i) provides that in the case of a Code Sec. 401(k) plan that is part of a profit-sharing or stock bonus plan, elective deferrals may be distributed only in certain situations, one of which is on account of hardship.Code Sec. 403(b)(11) provides similar rules with respect to elective deferrals under a Code Sec. 403(b) plan. Code Sec. 457(d)(1)(A) provides that a plan described in Code Sec. 457(b) may not permit distributions before the occurrence of certain enumerated events, one being when the participant is faced with an unforeseeable emergency. Certain other types of plans or accounts are not permitted to make in-service distributions (i.e., distributions to a participant who is still an employee) even if there is a hardship. For example, in-service hardship distributions are generally not permitted from pension plans or from accounts holding qualified nonelective contributions (QNECs) described in Code Sec. 401(m)(4)(C) or qualified matching contributions (QMACs) described in Code Sec. 401(k)(3)(D)(ii)(I). However, Rev Rul 2004-12, 2004-2 CB 478, holds that if amounts attributable to rollover contributions are separately accounted for within a plan, those amounts may be distributed at any time, pursuant to the employee's request. In order to make a loan or distribution (including a hardship distribution), a plan must contain language authorizing the loan or distribution. 1/2 of the present value of the employee's nonforfeitable accrued benefit under the plan. Early (generally, pre-age 59.5) withdrawals from a qualified retirement plan result in an additional tax equal to 10% of the amounts withdrawn that are includible in gross income. (Code Sec. 72(t)(1)) The additional tax applies unless the taxpayer qualifies for one of several specific exceptions. (Code Sec. 72(t)(2), Code Sec. 72(t)(3)) There is no exception for hardship withdrawals. A similar rule applies to distributions from an IRA. Plan provisions and regs under certain Code sections establish verification procedures that a plan must follow before loans or distributions can be made from the plan. For example, the regs under Code Sec. 401(k) set forth certain criteria an employee must meet in order to receive a hardship distribution. A plan may contain procedures designed to confirm that the criteria have been satisfied. IRS provides relief. IRS has now provided various types of relief with respect to retirement plan distributions and loans. As described below, a qualified employer plan will not be treated as failing to satisfy any requirement under the Code or regs merely because the plan makes a loan or a hardship distribution, for a need arising from Hurricane Harvey, to an employee or former employee whose principal residence on Aug. 23, 2017, was located in one of the Texas counties identified for individual assistance by the Federal Emergency Management Agency (FEMA) because of the devastation caused by Hurricane Harvey. That same rule also applies to persons whose place of employment was located in one of these counties on that date or whose lineal ascendant or descendant, dependent, or spouse had a principal residence or place of employment in one of these counties on that date. The counties identified for individual assistance by FEMA can be found on FEMA's website at fema.gov/disasters. If additional areas in Texas or other states are identified by FEMA for individual assistance because of damage related to Hurricane Harvey, the relief provided in the Announcement will also apply, from the date specified by FEMA as the beginning of the incident period, and that date should be substituted for references to Aug. 23, 2017, in the Announcement. Plan administrators may rely upon representations from the employee or former employee as to the need for and amount of a hardship distribution, unless the plan administrator has actual knowledge to the contrary. The distributions will be treated as hardship distributions for all purposes under the Code and regs. For purposes of the Announcement, a "qualified employer plan" means a plan or contract meeting the requirements of Code Sec. 401(a), Code Sec. 403(a) or Code Sec. 403(b), and, for purposes of the hardship relief, such a plan that could, if it contained enabling language, make hardship distributions. For purposes of this paragraph, a "qualified employer plan" also means a plan described in Code Sec. 457(b) maintained by an eligible employer described in Code Sec. 457(e)(1)(A), and any hardship arising from Hurricane Harvey is treated as an "unforeseeable emergency" for purposes of distributions from such plans. For example, a profit-sharing or stock bonus plan that currently does not provide for hardship or other in-service distributions may nevertheless make hardship distributions related to Hurricane Harvey pursuant to the Announcement, except from QNEC or QMAC accounts or from earnings on elective contributions. A defined benefit or money purchase plan, which generally cannot make in-service hardship distributions, may not make hardship distributions pursuant to the Announcement, other than from a separate account, if any, within the plan containing either employee contributions or rollover amounts. The amount available for hardship distribution is limited to the maximum amount that would be permitted to be available for a hardship distribution under the plan under the Code and regs. However, the relief provided by the Announcement applies to any hardship of the employee, not just the types enumerated in the regs, and no post-distribution contribution restrictions are required. For example, regs under Code Sec. 401(k) provide safe harbor hardship distribution standards under which a hardship is deemed to exist only for certain enumerated events, and, after receipt of the hardship amount, the employee is prohibited from making contributions for at least six months. Plans need not follow these rules with respect to hardship distributions for which relief is provided under the Announcement. To make a loan or hardship distribution pursuant to the relief provided in the Announcement, a qualified employer plan that does not provide for them must be amended to provide for loans or hardship distributions no later than the end of the first plan year beginning after Dec. 31, 2017. To qualify for the relief under the Announcement, a hardship distribution must be made on account of a hardship resulting from Hurricane Harvey and be made on or after Aug. 23, 2017, and no later than Jan. 31, 2018. Plan loans made pursuant to the Announcement must satisfy the requirements of Code Sec. 72(p). In addition, a retirement plan will not be treated as failing to follow procedural requirements for plan loans (in the case of retirement plans other than IRAs) or distributions (in the case of all retirement plans, including IRAs) imposed by the terms of the plan merely because those requirements are disregarded for any period beginning on or after Aug. 23, 2017, and continuing through Jan. 31, 2018, with respect to loans or distributions to individuals described in the above paragraph that begins "As described below", provided the plan administrator (or financial institution in the case of distributions from IRAs) makes a good-faith diligent effort under the circumstances to comply with those requirements. However, as soon as practicable, the plan administrator (or financial institution in the case of IRAs) must make a reasonable attempt to assemble any forgone documentation. For example, if spousal consent is required for a plan loan or distribution and the plan terms require production of a death certificate if the employee claims his or her spouse is deceased, the plan will not be disqualified for failure to operate in accordance with its terms if it makes a loan or distribution to an individual described in the above "As described below" in the absence of a death certificate if it is reasonable to believe, under the circumstances, that the spouse is deceased, the loan or distribution is made no later than Jan. 31, 2018, and the plan administrator makes reasonable efforts to obtain the death certificate as soon as practicable. For purposes of the Announcement, "retirement plan" has the same meaning as "eligible retirement plan" under Code Sec. 402(c)(8)(B). In general, the normal spousal consent rules continue to apply, and, except to the extent the distribution consists of already-taxed amounts, any distribution made pursuant to the relief provided in the Announcement will be includible in gross income and generally subject to the 10% additional tax under Code Sec. 72(t). IRS notes that the relief that it is currently providing is similar to the relief provided last year to Louisiana flood victims and victims of Hurricane Matthew. ERISA relief. The Department of Labor has said that it will not treat any person as having violated the provisions of Title I of the Employee Retirement Income Security Act solely because that person complied with the provisions of the Announcement. References: For loans from qualified plans, see FTC 2d/FIN ¶ H-11065; United States Tax Reporter ¶ 724.23. For hardship distributions, see FTC 2d/FIN ¶ H-8978.2; United States Tax Reporter ¶ 4014.1763. As part of its outreach during National Small Business Week, IRS has reminded eligible small business (ESB) startups that they may now choose to apply part or all of their research credit against their payroll tax liability. IRS also informed ESBs that, if they already filed their 2016 federal income tax returns and failed to choose this option, under a special rule for the 2016 tax year, they can still do so by filing an amended return by Dec. 31, 2017. RIA observation: Thus, the above rule disqualifies a taxpayer as a qualified small business if it has gross receipts in any year before the fourth preceding tax year and so generally limits qualified small business status to start-ups. How to make the election. To make the election, an ESB should fill out Form 6765, Credit for Increasing Research Activities, and attach it to a timely-filed business income tax return. Because many business taxpayers request a tax-filing extension, they still have time to make the choice on a timely-filed return. After making the election, either on an original or amended return, a small business claims the payroll tax credit by filling out Form 8974, Qualified Small Business Payroll Tax Credit for Increasing Research Activities. This form must be attached to its payroll tax return, usually Form 941, Employer's Quarterly Federal Tax Return. References: For the research credit as an offset to payroll taxes, see FTC 2d/FIN ¶ L-15526; United States Tax Reporter ¶ 414.0109. Under legislation known as the PATH Act, ITINS holders (Individual Taxpayer Identification Number) will be required to renew their numbers starting in October 2016 if the ITIN has not been used on a return in the prior three years (2013, 2014, 2015). If not used or not renewed the ITIN will ceased to be valid for use on a tax return. ITINS are most often used by foreign nationals, resident aliens, and undocumented workers, people who have tax filing obligations under U.S. law but do not have a Social Security Number. A second group requiring renewal are those ITINs issued before 2013 will need to be renewed starting this fall (October) under a rolling schedule for renewals put in place by the IRS. This renewal for those ITINs issued before 2013 mandatory regardless of its use on a tax return for the prior three years. The first ITINs that will expire are those with the middle digits of 78 and 79 (example: 9XX-78-XXXX) starting October 1, 2016. The group of taxpayers with these numbers will be notified by mail starting in August with the IRS planning to announce the expiration schedule for those numbers other than the 78 and 79. Failure to renew expired ITIN before the next year filing deadline may delay refunds and render the taxpayer ineligible for claiming certain tax credits such as the Child Tax Credit and the American Opportunity Tax Credit. The IRS has created a “family option” for those household where several members have ITINs. If any individual in the household receives a renewal notice from the IRS, they can choose to renew the ITINs of all of their family members at that time. Family member include the tax filer, the filer’s spouse, and any dependents claimed on their returns. Renewal is dependent on the taxpayer’s obligation to file returns. If there is no longer an obligation to file the need to renew is not present. Just remember that if the taxpayer has an obligation to file they must renew or face delays in processing their returns, loss of credits and potential tax elections, and given the Service’s current record for expanding penalties a penalty. HOUSTON — Victims of the severe storms and flooding that took place beginning on May 26, 2016 in parts of Texas may qualify for tax relief from the Internal Revenue Service. Individuals who reside or have a business in Austin, Brazoria, Brazos, Fort Bend, Grimes, Hidalgo, Hood, Montgomery, San Jacinto, Travis, Waller and Washington Counties may qualify for tax relief. The declaration permits the IRS to postpone certain deadlines for taxpayers who reside or have a business in the disaster area. For instance, certain deadlines falling on or after May 26, and on or before October 17, 2016 have been postponed to October 17, 2016. This includes the June 15 and September 15 deadlines for making quarterly estimated tax payments, the 2015 corporate and partnership returns on extension through September 15, and the August 1 deadlines for quarterly payroll and excise tax returns. In addition, the IRS is waiving the failure-to-deposit penalties for employment and excise tax deposits due on or after May 26 as long as the deposits were made by June 10, 2016. Under section 7508A, the IRS gives affected taxpayers until October 17, 2016 to file most tax returns (including individual, corporate, and estate and trust income tax returns; partnership returns, S corporation returns, and trust returns; estate, gift, and generation-skipping transfer tax returns; and employment and certain excise tax returns), or to make tax payments, including estimated tax payments, that have either an original or extended due date occurring on or after May 26, 2016 and on or before October 17, 2016. The IRS also gives affected taxpayers until October 17, 2016 to perform other time-sensitive actions described in Treas. Reg. § 301.7508A-1(c)(1) and Rev. Proc. 2007-56, 2007-34 I.R.B. 388 (Aug. 20, 2007), that are due to be performed on or after May 26 and on or before October 17, 2016. The postponement of time to file and pay does not apply to information returns in the W-2, 1098, 1099 series, or to Forms 1042-S or 8027. Penalties for failure to timely file information returns can be waived under existing procedures for reasonable cause. Likewise, the postponement does not apply to employment and excise tax deposits. The IRS, however, will abate penalties for failure to make timely employment and excise tax deposits due on or after May 26 and on or before June 10, 2016, provided the taxpayer made these deposits by June 10, 2016. Affected taxpayers claiming the disaster loss on a 2015 return should put the Disaster Designation, “Texas, Severe Storms and Flooding” at the top of the form so that the IRS can expedite the processing of the refund. The IRS will waive the usual fees and expedite requests for copies of previously filed tax returns for affected taxpayers. Taxpayers should put the assigned Disaster Designation “Texas, Severe Storms and Flooding” in red ink at the top of Form 4506, Request for Copy of Tax Return, or Form 4506-T, Request for Transcript of Tax Return, as appropriate, and submit it to the IRS. Tax Over Payment Causes Penalty. Other websites posting stories on this subject. Texas Legislature Online if you wish to read HB 483 including history, amendments, actions, and authors. (Bloomberg) The IRS is freezing hiring, stopping most overtime pay and warning that it won’t answer about half the calls it will receive during the upcoming tax-filing season. The spending law signed by President Barack Obama yesterday gives the Internal Revenue Service $10.9 billion for the fiscal year ending Sept. 30, 3 percent less than last year and 12 percent below the administration’s request. Adjusted for inflation, Koskinen wrote, the IRS will have as much money as it did in 1998, when it processed 30 million fewer returns. The budget cuts will make it tougher for taxpayers to get answers during the first filing season when taxpayers will be dealing with the implications of Obamacare, including the individual mandate to purchase health insurance and the tax credits that subsidize coverage. The hiring freeze will have “only a few mission-critical exceptions,” Koskinen wrote. The cuts will prevent the tax agency from collecting about $2 billion it would otherwise get through enforcement efforts, Koskinen wrote. “I am concerned by this situation and alarmed at the negative impact this will have on taxpayers and our nation as well as our workforce,” he wrote. Republicans in Congress pressed for the lower budget, partly as a way to curb the tax agency, which gave extra scrutiny to Tea Party groups seeking nonprofit status. Republican representatives such as Speaker John Boehner and incoming Budget Committee Chairman Tom Price touted the IRS funding cuts as one of the reasons to vote for the spending bill. Earlier today, Treasury Secretary Jacob J. Lew said in a statement that the IRS cuts were “irresponsible” and that the administration accepted them as part of a compromise. Comment: While Commissioner Koskinen bemoans having to do less with less the hiring freeze will have minimal effect on service this tax season as it would be months or possibly years before those hired today would deal with the public or perform meaningful services in the IRS. And if people are not already in place to help taxpayers with the first year of the Affordable Care Act (ACA); a.k.a. ObamaCare the Commissioner Koskinen and those under him in the IRS have been derilict in their duties. The agency will cut taxpayer services as a way to ultimately restore funding thru taxpayer complaints about service. It is the unstated purpose of every government agency to grow in power, influence, and importance and that growth is thru the funding it is able to garner. Every agency needs trimming from time to time to refocus its attention on its core purpose, purge fiefdoms inside the agency, and lead an agency to improvement and needed change. The recent conduct of the IRS is evidence this action was needed and it is unfortunate Commissioner Koskinen does not see this as an opportunity. October 15th is FINAL TAX FILING DEADLINE for 2014! Draft instructions and the forms on the latest ACA forms that will be used to report subsidies taxpayers received next April 15th have been released. The first form is Form 1095-A, “Health Insurance Marketplace Statement,” if for use by individual taxpayers enrolled in a qualified health plan through the Marketplace to claim the premium tax credit, and reconcile the credit on their returns with the advanced payments. This is the form mentioned in a prior post that HHS and state agencies are to provided to individual taxpayers. This may result in the taxpayer owing the government if their income for 2013 proved greater than originaly reported for ACA subsidies or an increased refund if income proved less. The second two forms are Forms 1094-B and 1095-B, “Transmittal of Health Coverage Information Returns” and “Health Coverage,” for use by employers with to report ACA information to the IRS and to employees. While these two forms will not be required for 2014 filing, they are being provided with the hope employers will use them to gain an understanding of the forms before the 2016 filings are due. The final two forms Forms 1094-C and 1095-C, “Transmittal of Employer-Provided Health Insurance Offer and Coverage Information Returns” and Employer-Provided Health Insurance Offer and Coverage.” Are for employees with 50 or more full-time employees including full-time equivilant employees. The forms are to bused to report on offers of health coverage and enrollment in health coverage for their employees. Tax filings due April 15th 2015 may be delayed by an inablity of HHS and state agencies to timely prepare, file, and mail tax a new form to taxpayers who received health care subsidies under the Affordable Care Act (ACA). The ACA requires taxpayers to include the information Form 1095-A shows regarding the subsidies recieved for 2014. The form information will be used to repay excess subsidies or pay additional subsidies to the taxpayer. More can be found in this article.